Isn't it everyone's dream to own A Cottage by the Sea? 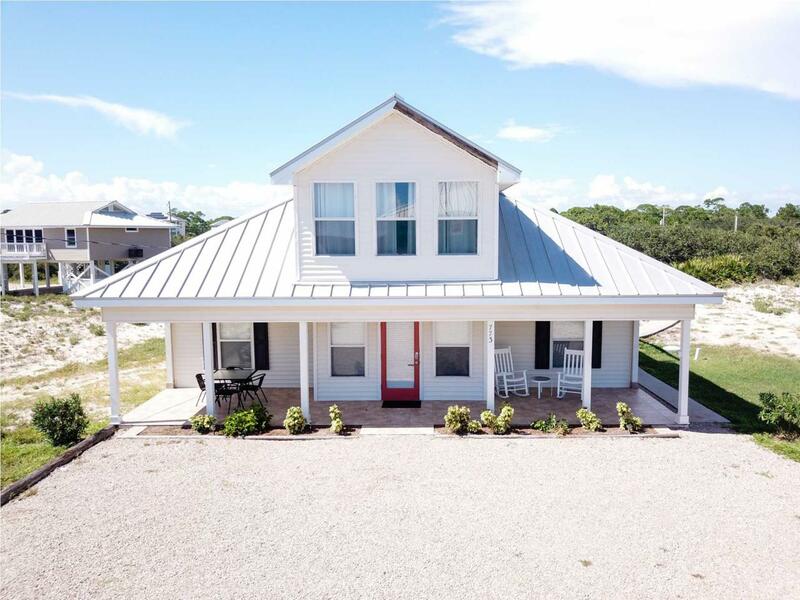 Make your dreams of coastal living come true with this charming 3 Bd, 3 Bath (rare ground-level) Florida cottage. Home features marvelous views of the Gulf from the front porch rockers and/or the 2nd level sun deck. The beach is just steps away with easy access down the boardwalk or stay put and enjoy this home's beautiful private pool. A split-floor plan with double master bedrooms/baths on 1st floor, open concept kitchen/living/dining room and an additional bright and airy bedroom with its own bathroom upstairs make this an ideal vacation location or forever home. Easy-to-care-for tile flooring, vinyl siding and metal roof. Central HVAC, electric appliances, dishwasher and washer/dryer move-in ready! Great investment as a vacation rental, GRI $51,859/2017 - $54,391/2016. Listing provided courtesy of Naumann Group Real Estate, Inc. - Sgi.